Superdry men’s Rotor leather 4 pocket jacket. This premium leather jacket features a zip and popper fastening, six front pockets including four with popper fastening, as well as one internal pocket with popper fastening. 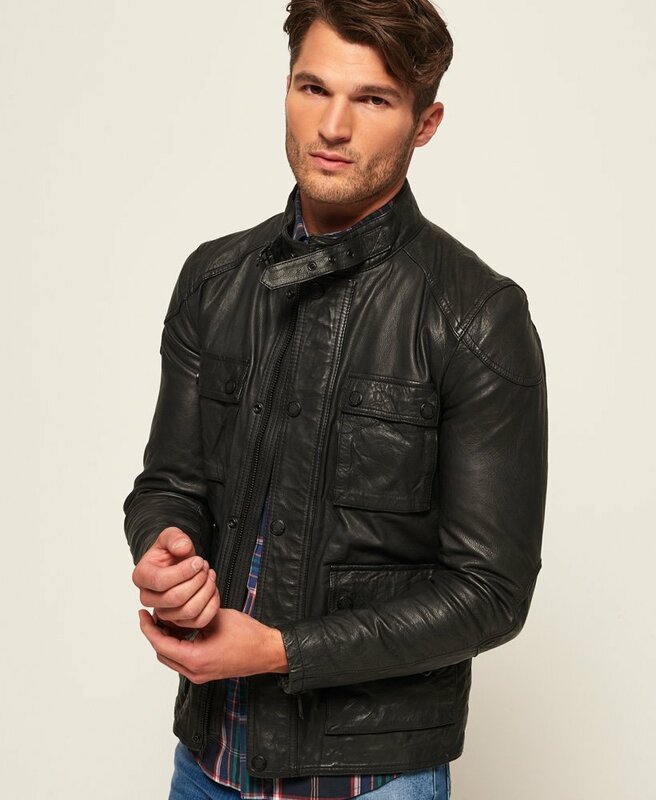 This jacket has immense detailing, including collar buckle fastening and zipped cuffs. The Rotor leather 4 pocket jacket is finished with an adjustable buckle waistband and a metal Superdry logo badge on the sleeve.